With so much of our personal data out there thanks to ecommerce and social networking, it’s no wonder hackers and cyber criminals are able to help themselves to our information, which can have catastrophic results. Hacking can lead to such quagmires as identity theft, scams, theft, and file destruction. Is your personal and business data safe? What can you do to protect your personal and company data against hackers and cyber crime? Make it Strong – The first step to protect your data is having strong passwords. Use as many characters as possible, both capital and lowercase letters, and at least one number and one symbol. Leave out obvious details such as your name or date of birth. Avoid easy-to-answer security questions, ones to which the answer can be easily found online (your high school, pet’s name, favorite team, etc.). Also, don’t use the same password for all of your accounts. 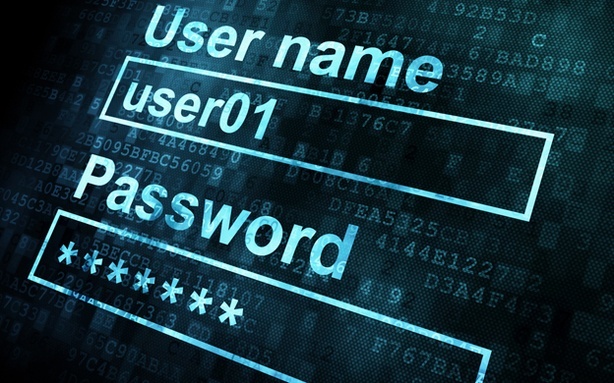 Having unique passwords will limit the potential damage if one of your accounts is compromised. Back it Up – Regularly back up your files locally, making multiple copies of them to prevent against hard drive failure. This is especially important for your business, because lost business data usually adds up to lost time and money. So, make sure your backup system is fail-proof. Or, get even more backup protection by utilizing Managed IT Services, offered by many business solution providers, which will securely backup and store your data to protect against hackers and other disasters. Secure Your Network Devices – An often overlooked area that’s vulnerable to hacking is your printing and imaging hardware. Threats aren’t just limited to outside attacks from cyberspace. People both inside and outside your organization can actually hack your devices and steal information from document images that are saved on the hard drives of your imaging devices. Your office equipment provider can help you take measures to secure these devices. Browse Facebook Securely – Facebook accounts are frequent targets of hackers, so if you use Facebook, take advantage of the security measures provided to you. In your account settings enable ‘secure browsing’ to use an encrypted connection (https://) instead of a standard connection (http://). Watch Where You Click – Never, ever click on a link in an e-mail from someone you don’t know. Phishing creates bogus e-mails attempting to lure you to a phony website and have you enter your username and password. In the information age your personal data is out there; however, employing these methods will make it more difficult for hackers to get their hands on it.